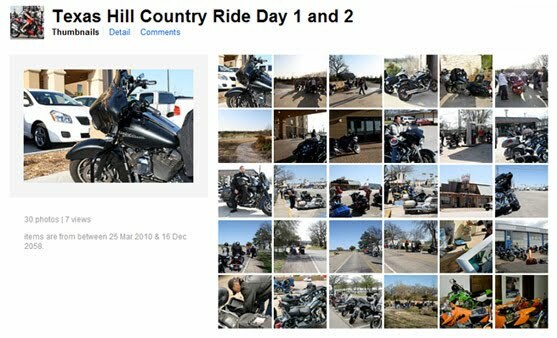 Last Thursday I flew from Philly to Dallas and picked up a Harley Street Glide from Eagle Rider. I went to Texas to spend some time with some industry friends, road test some gear and actually try to relax. When I am in Philly, the relaxing part just doesn't happen. Ask my wife or Matt and Nick. I am titling the trip "None of my ex's live in Texas" for no other reason than I think it's amusing. So I went to Texas to be productive and to unplug for a few days. I also had the priveledge of being blown away by what Texas Hill Country had to offer. It was also pretty novel to do the entire ~900 miles on a Harley Davidson Street Glide with Reinhart pipes and a stereo in the front fairing. Rocking that 800lb "sled" on the twisties ourside of Fredricksberg was quite a departure from the Ducti S2R that I am used to riding in Philly. It was nice actually and quite comfortable. I also learned that when you add a Merle Haggard soundtrack to any motorcycle riding with cattle as part of the scenery, the ride becomes that much more majestic overall. Whenever I get to fly out for "meetings by bike", it is always a great excuse to road test gear that I have not ridden for extended periods of time yet. I have the first days pictures up right now ans will be posting the rest within the week. There are some great shots of what the countryside looks like out there. Check the Ride Gallery Here. Motorcycle Gear - Here is a list of the gear I chose for the trip, which I will be reviewing via the videos we will release over the next couple of days. 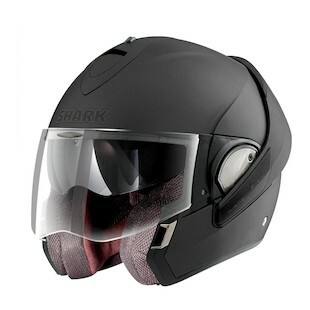 Motorcycle Helmet - Shark Evoline Modular Helmet - Matte Black - Harley or no Harley, I ride with full face protection. I like the style and the functionality of the Evoline and although its heavier than a typical full-face being a modular helmet, I wanted to to this trip with the ability to ride open-faced if I choose. 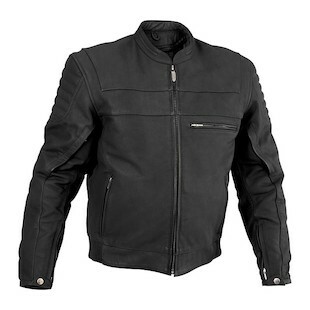 Motorcycle Jackets - I chose 3 different coats for the ride to get a sense of the performance of three of our key brands: Firstgear, River Road and Speed & Strength. Firstgear Kenya Jacket - I wanted to go with three options for this trip, a mix of leather and textile. On the textile side for day 1 and 2, I went with a black FirstGear Kenya Jacket which is waist length has a waterproof outer, removable thermal liner and venting. Textile always means versatility in my book. Black was a compromise on thie Texas trip. I may be a little warm, but I am on a Custom HD. 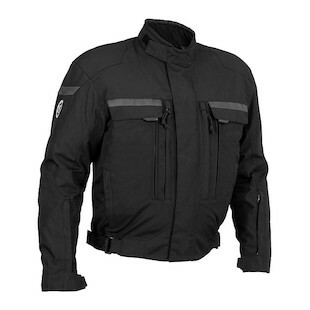 Speed and Strength Under the Radar Jacket - Basic black textile, S&S styled with armor, vents and a removable vest liner. I wore this jacket on day 4 in cooler temperatures. 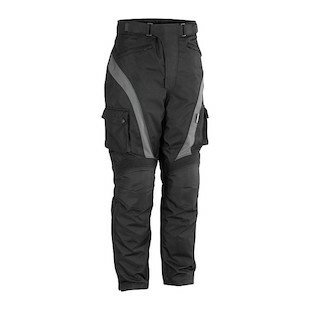 Motorcycle Pants - River Road Taos Textile Pants - For Texas and distance I am thinking textile for a comfort and breathability perspective - but I am not willing to sacrifice on protection. I went with the River Road Taos Pants because they had some removable liner options as well as built in hard armor and venting. They are also black and I liked the style. I do have a pair of Kevlar Jeans that I may ride for a day just to contrast, but 500 miles with no knee armor makes me nervous. 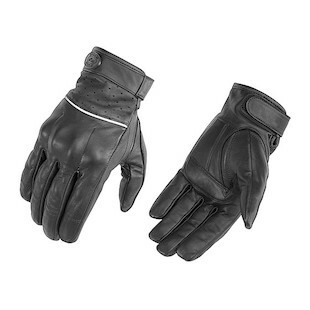 Motorcycle Gloves - River Road Firestone Gloves for cooler temps and the River Road Mojave 2.0 Gloves Perforated for Warmer Temps. 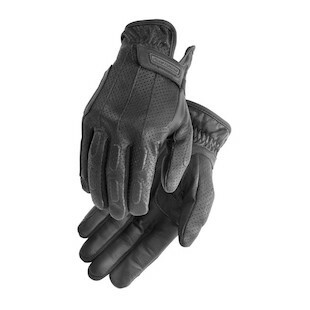 Basic sub-50 dollar options that are touted as comfortable, protective and a good value. Time to put them to the test. 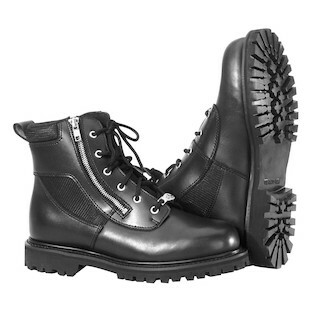 Motorcycle Boots - River Road Highway Boot - High top lace up black work boot style. Basic with a zipper entry on each boot. Padding around the high ankle for comfort and support. I wore these guys over all 4 days. Overall I was pretty happy with the gear I chose and I was very much surprised with the range of temperatures that I saw. In all I did about 871 miles over the 3.5 day span. I took a lot of video and will be breaking each day down with highlights as well as reviews for the gear after each day. This is really interesting take on the concept. I never thought of it that way. I came across this site recently which I think will be of great use http://www.nexx-usa.com/ . Have a look!